iradiophilly | Culture - 2019 Rock and Roll Hall of Fame Nominees Announced; Def Leppard, Todd Rundgren, Devo, MC5; Vote Now! The Rock and Roll Hall of Fame in Cleveland has announced the nominees for the 2019 induction class. This year's ballot includes first time nominees Def Leppard, Devo, John Prine, Roxy Music, Stevie Nicks, and Philly's own Todd Rundgren. The other nominees are Janet Jackson, Kraftwerk, LL Cool J, MC5, Radiohead, Rage Against the Machine, Rufus featuring Chaka Khan, The Cure. The Zombies. This is certainly an eclectic representation of 'rock' music including everything from classic and punk to grunge and disco to electronic and hip hop. In order to qualify, acts must have been making music for over 25 years, that means they released their first single or album by 1993. 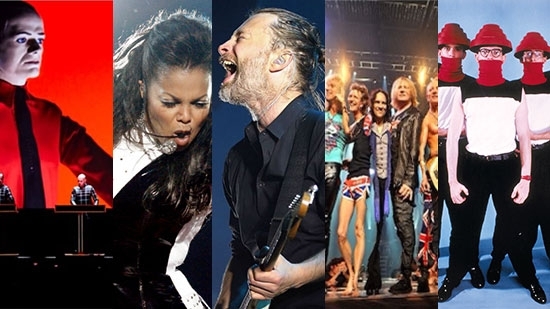 This is the fifth year for LL Cool J and Kraftwerk, the fourth for MC5 and the Zombies, the third appearance for Rufus featuring Chaka Khan and Janet Jackson, and the second appearance for Radiohead, Rage Against the Machine, and The Cure. Kate Bush, Nine Inch Nails, The Smiths, The Replacements, Eurythmics, J Geils Band, Judas Priest, The Meters, Depeche Mode, Eric B. & Rakim, Sister Rosetta Sharpe, and Link Wray were dropped from last year's ballot. There were no nominations for artists who became eligible this year including the likes of Outkast, Beck, Snoop Dogg, Jeff Buckley, Fugees, The Roots, and Dave Matthews Band. Ballots are sent to 800 members of the music industry to vote. The Rock Hall selects the top vote getters with at least 50% of the votes for inclusion, usually 5-7 each year. The public also gets a vote. Starting October 9th, https://www.rockhall.com/vote to cast your ballot or vote below. All of the public votes are tallied to create a ballot alongside the industry votes. Voting ends on December 9th. You can vote once per day. The inductees will be announced in December. The Rock & Roll Hall of Fame 2019 Induction Ceremony, presented by Klipsch Audio, will be held at Barclays Center in Brooklyn, New York on March 29, 2019. Vote for the 2019 Rock and Roll Hall of Fame Nominees starting October 9th.